← Is Cuba heading towards a repeat of the 2003 Black Spring? 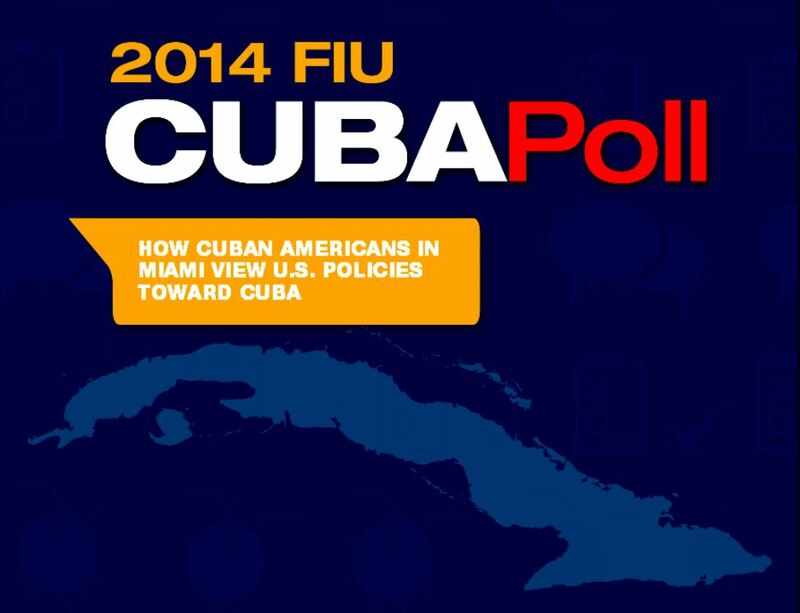 The Cuban Research Institute of Florida International University has just released its 2014 Poll on Cuban-American views towards U.S. policy towards Cuba. (Reuters) – A survey of Cuban Americans in Miami shows eroding support for hardline Cold War-era policies adopted by the United States against Cuba, with a narrow majority in favor of closer ties with the communist-ruled island. 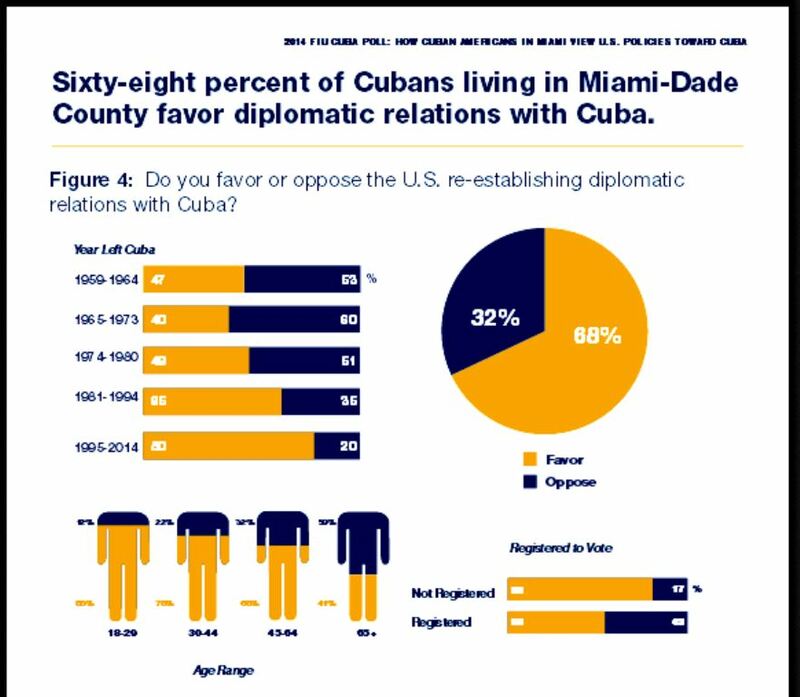 An even greater majority of those surveyed – 68 percent – favor diplomatic relations with Cuba. A similar number – 69 percent – favor lifting travel restrictions to Cuba for all Americans, according to the poll, which had a margin of error of 3 percentage points. Current U.S. policy allows visits to the island only under tightly controlled licenses for cultural and academic tours. Miami represents the heart of the Cuban American community. “The Cuban enclave is changing at all levels,” Guillermo Grenier, an FIU sociology professor who helped lead the survey, told a news conference. Only 8 percent of Cuban Americans ages 18 to 29 support continuing the embargo, compared to 60 percent of those ages 65 and older, the poll showed. 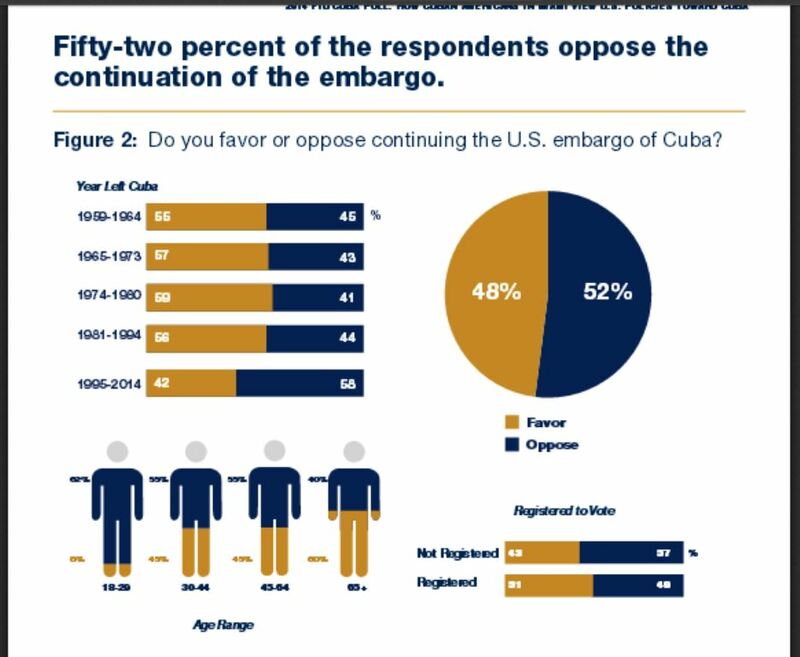 In 1991, 87 percent of those surveyed backed the embargo compared to 48 percent now. Still, the latest poll found that a majority of Cuban Americans – 63 percent – support keeping Cuba on the United States’ annual list of state sponsors of terrorism, along with countries like Iran, Syria and Sudan. “The results show that the (Cuban) government and the (Cuban) people are seen differently,” said Grenier. “There’s a certain willingness to throw the embargo under the bus, if there’s an alternative way to exert pressure on the government,” he added. A larger majority – 81 percent – of registered voters said they would support a candidate who advocated replacing the embargo with a policy that increased pressure on the Cuban government over human rights. 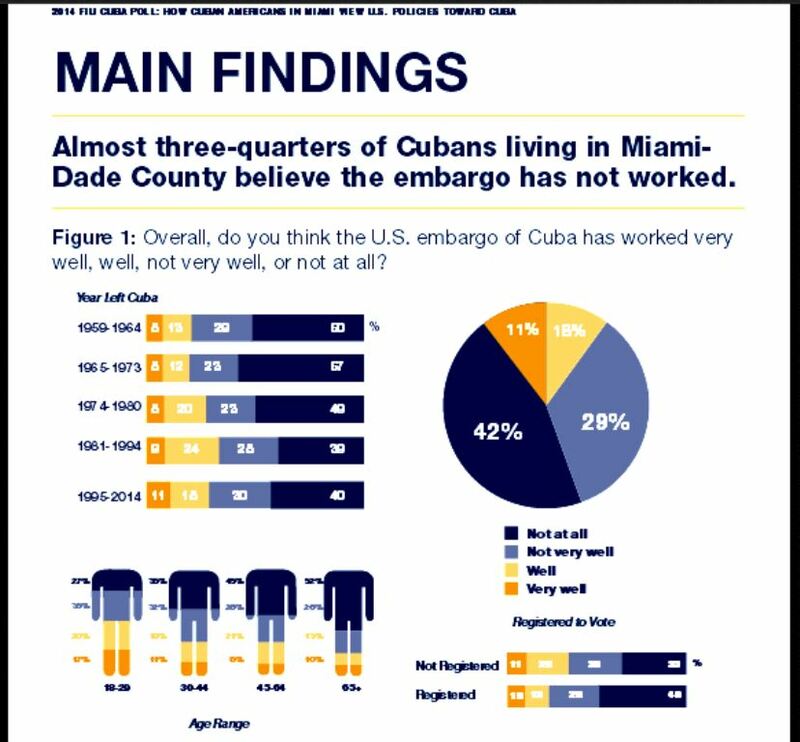 Mauricio Claver-Carone, director of the pro-embargo group U.S.-Cuba Democracy PAC, pointed to a recent poll conducted for the Miami Herald newspaper that found Cuban Americans support the embargo by a 56 percent to 36 percent margin. That poll, conducted by Miami firm Bendixen & Amandi International, involved a smaller sample of 300 voters with a 5.6 percent margin of error. This entry was posted in Blog and tagged Cuban Diaspora, Embargo, International Relations, US-Cuba Relations. Bookmark the permalink.